The 2018 sector champions were announced at the awards celebration on 3rd October 2018. Food for Life took over the Council House in Birmingham for our national Food for Life Served Here and Green Kitchen Standard Awards celebration. 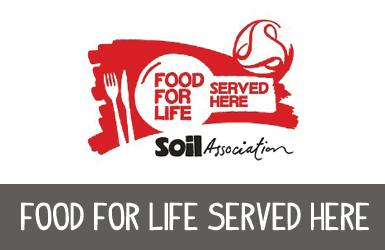 The awards were presented by the Soil Association CEO Helen Browning and Food for Life co-founder Jeanette Orrey MBE and the event was a wonderful opportunity to shine a spotlight on and shine a spotlight on the excellent people and food providers who are doing great things with Food for Life. The winners were chosen from a shortlisted few, by an independent judging panel who were looking for outstanding commitment to delivering Food for Life Served Here accredited meals. 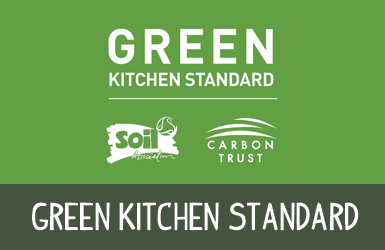 Awards were given across six categories, including an award for Green Kitchen Standard, a new certification run jointly with the Carbon Trust, which recognises caterers that are taking positive steps to sustainably manage energy, water and waste. Schools - Sarah Henderson, PA to directors & Food for Life Coordinator, ISS Facility Services in Education. Early Years - Raquel Kneeves, Nursery Chef at Snapdragons in Keynsham. Hospitals - Stephanie Steel, Head Chef with Randomlight at Coed Du Hall in Wales. Care Settings - Louise Chambers, Head of Elder Care service with Milestones Trust. Workplaces - Francesca Iliffe, Sustainability Officer with Brighton and Hove City Coucil. Universities - Mark Davidson, Food Production Manager, Sodexo, Southampton Solent University.